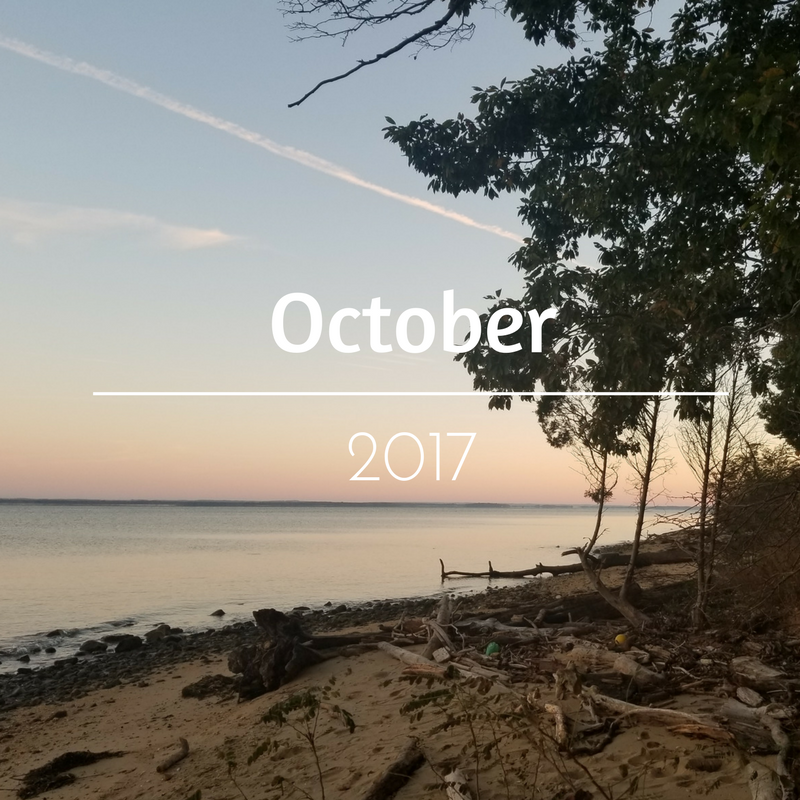 October has surprisingly been an ok month, which is saying a lot for me right now. I've been running more, I started going to acupuncture. Work slowed down for the first time in over a year, and I've been reading a ton. Overall, things are starting to feel normal again. I'm not a fan of October. Autumn is usually my least favorite season. We've seen temperatures close to 90 and as low as 43. Weather like that makes me sleepy and I always get sick. Last week, I was sidelined with the flu which threw off my training for two weeks but I'm getting back into it...just in time for a few weeks of travel! We had our company retreat on the Eastern Shore of Maryland last week. It was an overnight camping trip and we had a lot of fun! The picture above is from the trip. Today, I'm headed to Seattle! Highlights: Tons of exploring DC - checking out new-to-me museums, scoping out some new DC mural, doing yoga at the Kennedy Center, etc! The Month Ahead: I'm in Seattle today and The Pilot and I are headed to London in November for vacation! I'm also planning a trip to TX to visit my little sister and then my mom is coming to DC for Thanksgiving. It'll be a busy month but it'll be great! 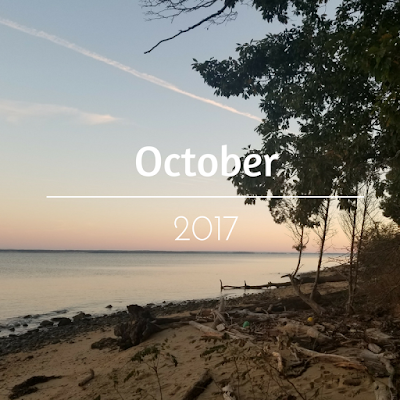 How did your month of October shape up? When we were planning our trip to Croatia, I really wanted to see the waterfalls at Plitvice. 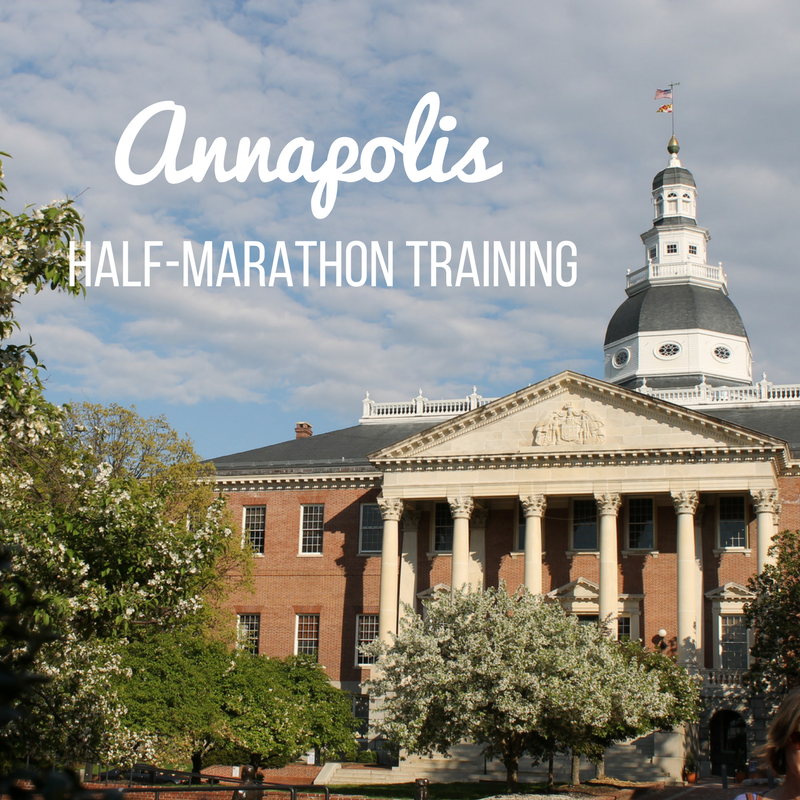 Unfortunately, it was going to be roughly a 12-hour trip from just about anywhere we were going and I really didn't want to do that. 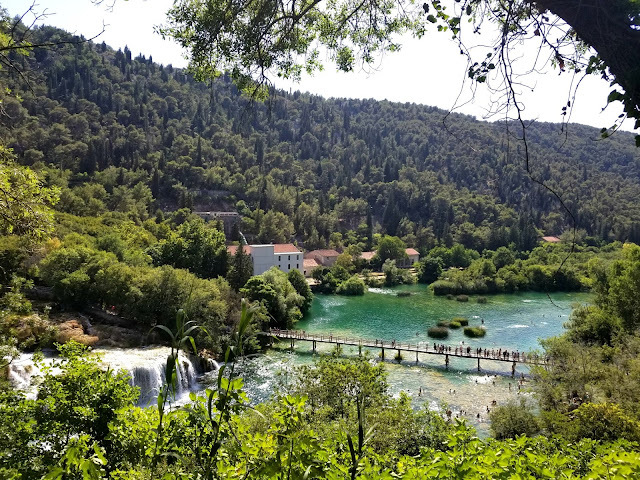 Doing some research, I learned that Krka National Park also has beautiful waterfalls, and is only an hour and a half drive north of Trogir, where we were spending our last few days in Croatia! 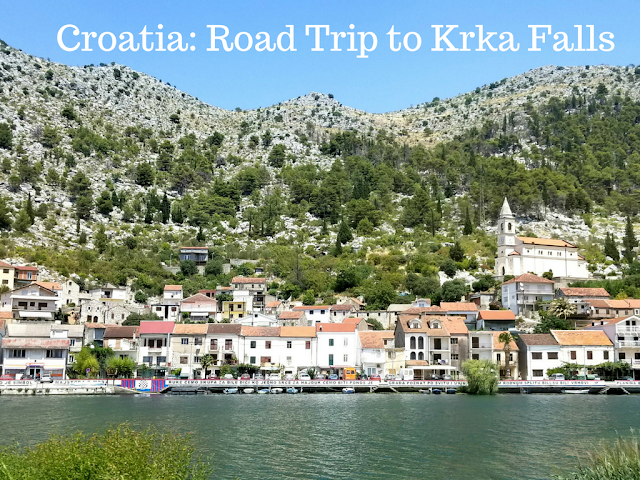 We decided to rent a car in Dubrovnik and drive up to Krka and then turn around and head back toward Trogir. We left Dubrovnik around 10 am. 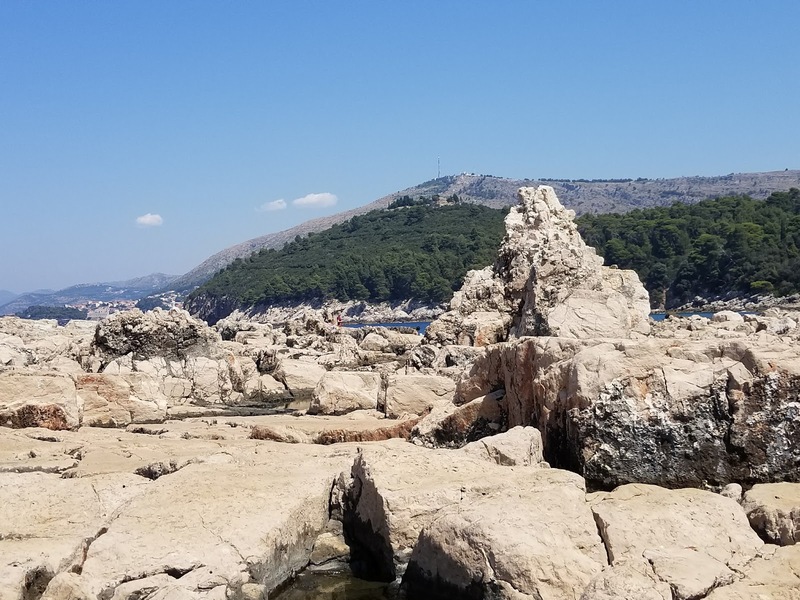 Our first stop was on the Peljesac Peninsula, about 45 minutes outside Dubrovnik. All along the Peninsula, you could see the oyster farms in the water! See all those black things in the water? That's the oyster farm! 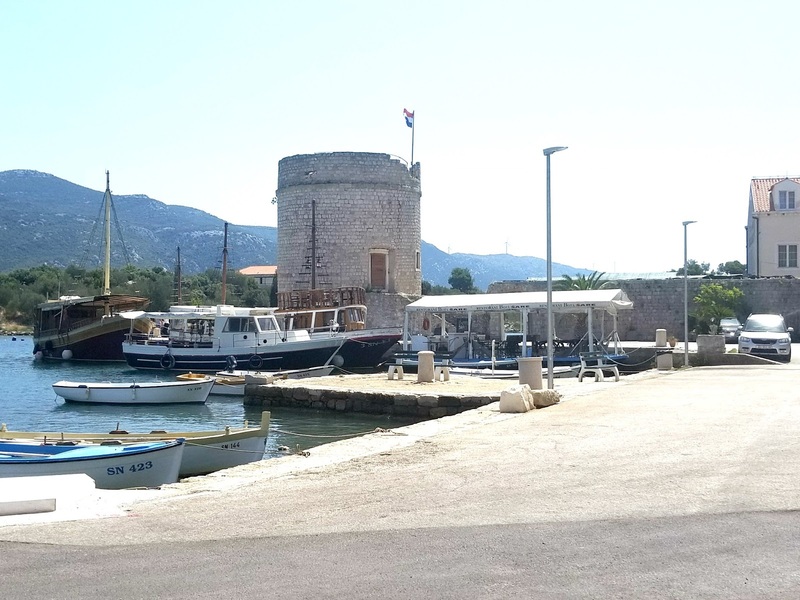 We stopped in a village called Mali Ston for lunch right on the water at a restaurant called Bota Sare. 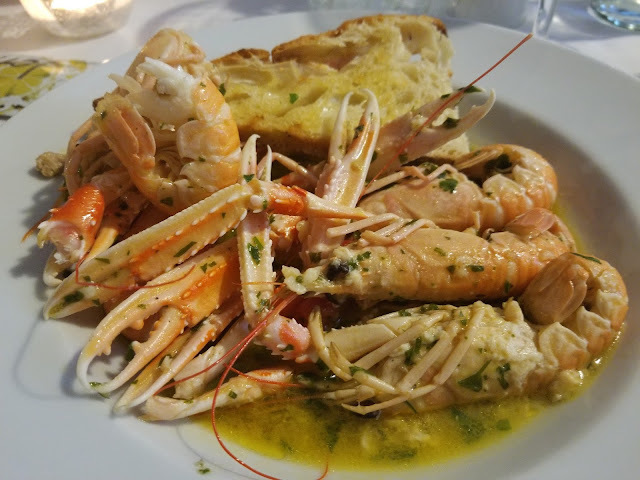 We had a pretty leisurely lunch - fish pate, oysters, and seafood risotto - which was incredible. 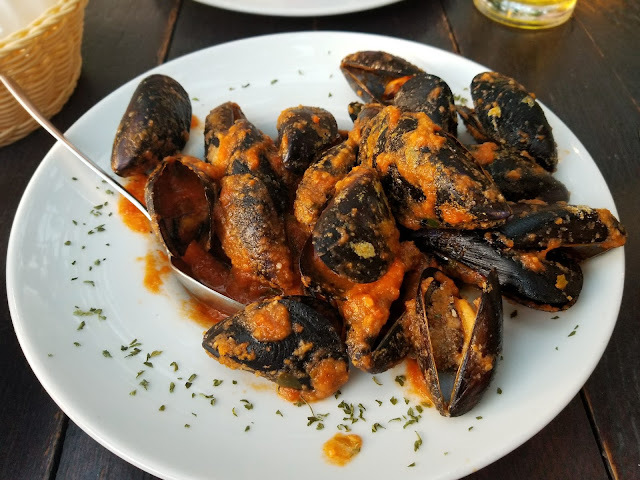 This was easily my favorite meal in Croatia! After lunch, we got back on the road. The drive from Dubrovnik to Krka is interesting because you have to cross the border into Bosnia and then cross the border back into Croatia about five minutes later. Crossing the border is really easy, it's like driving through a toll booth and having your passport inspected, but it was funny to have to do it twice in such a short period of time! 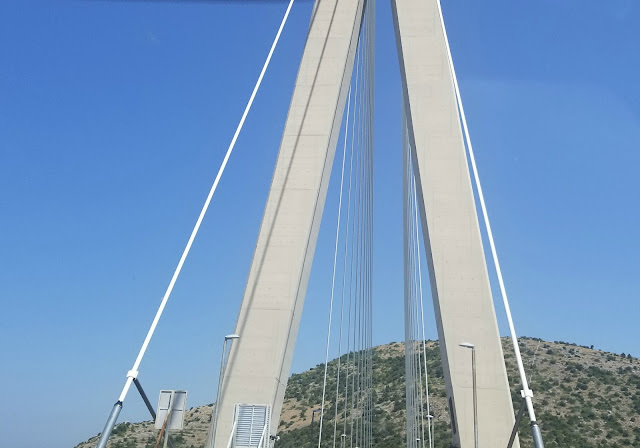 Once we were back in Croatia, we stopped at a rest stop, even though we didn't really need a rest. Why did we stop? Yea. That was the rest stop! A vineyard dug into the side of the mountain! Perfect reason for stopping if you ask me! 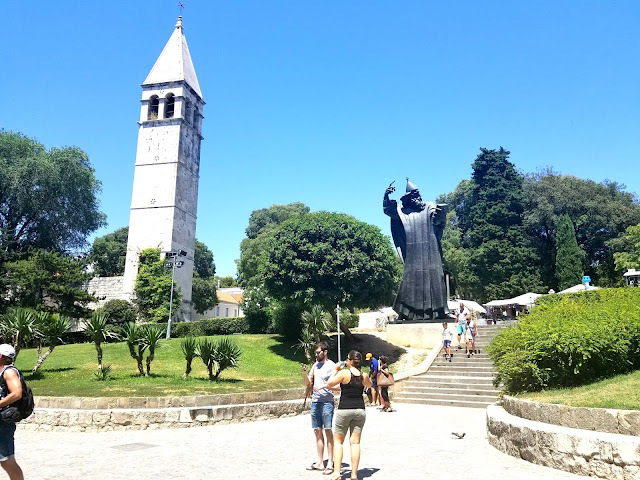 Croatia knows how to do rest stops! We made it to Krka National Park shortly after 3:00. We were told that if we waited to enter until after 4, there would be a discount, but we didn't want to wait that long. 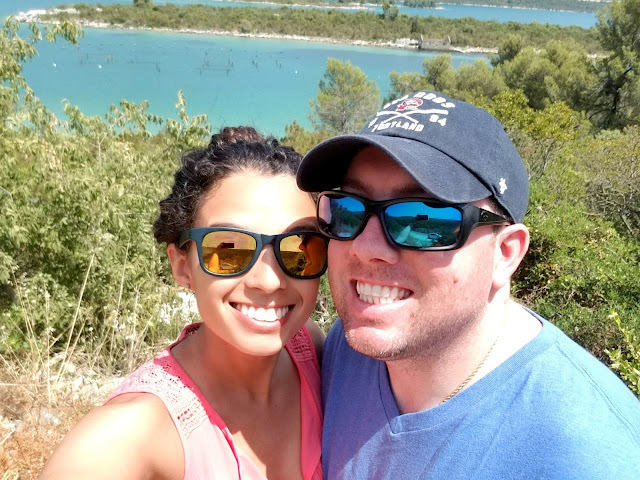 I was a little disappointed that we did because I wanted to take a boat ride along the falls but they had all stopped for the day by the time we got there, so there really wasn't any advantage to paying more to get in a little bit earlier. The waterfalls are everywhere. We spent a few hours wandering all of the paths and seeing different waterfalls from different areas. You're in the middle of this enormous, mountainous park, but it's a really easy walk since everything is paved. There are a few areas where you can get out and swim, which we would have done but I didn't want to get back in the car soaking wet! 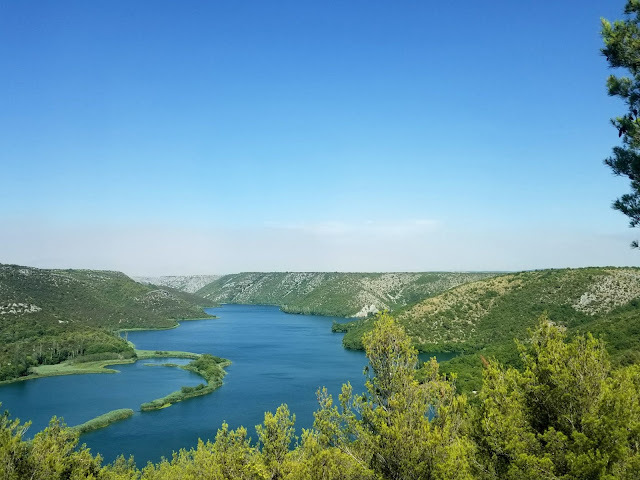 I had been worried that we wouldn't have enough time to see everything at Krka but since all of the boats had stopped running for the day, there wasn't much to do besides see the falls. It took us about 2 1/2 hours to do that, and once we did, we left. Krka was beautiful. 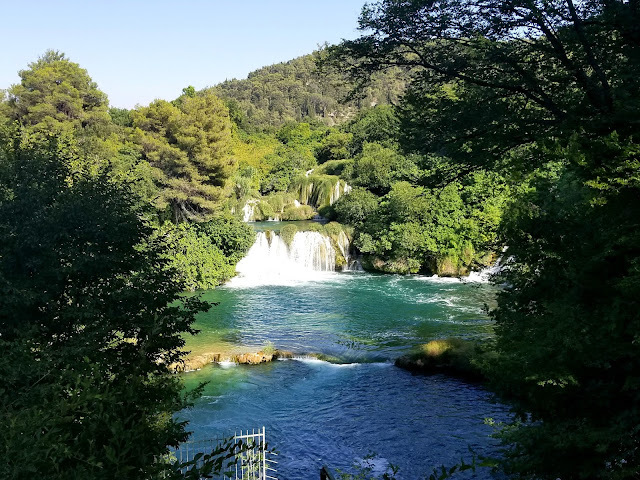 I can't say whether it's better than Plitvice but if you want to see waterfalls and don't want to trek 12 hours from the West Coast of Croatia to the Eastern border, I would definitely recommend Krka! 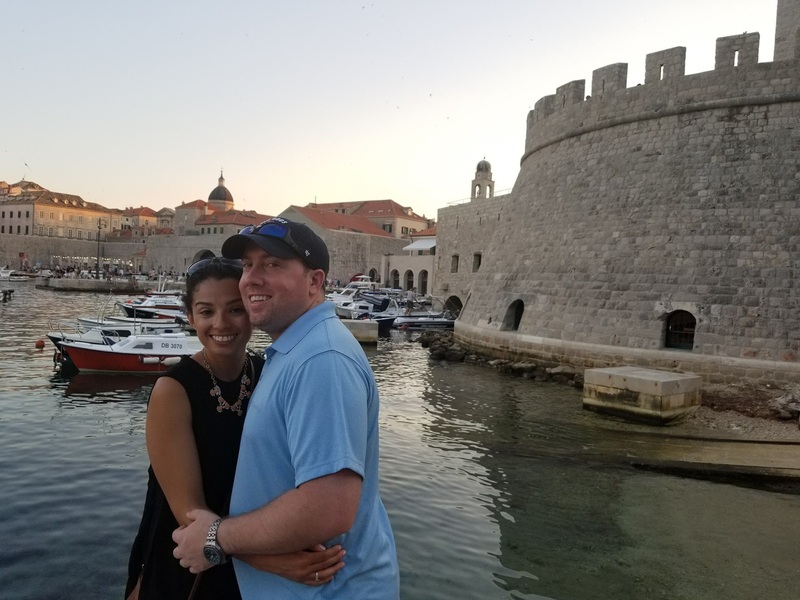 It was well worth the trip, but I am disappointed that we missed out on a boat tour! With a few more hours of daylight, we decided to stop off in Sibenica, another small town on the way back to Trogir. 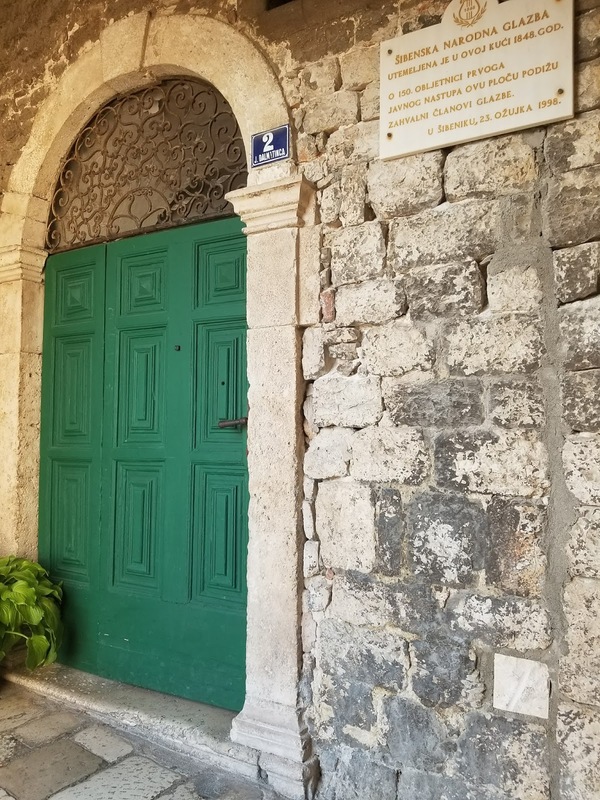 Sibenica is a sleepy little medieval town right on the water. We stopped for gelato (I had lemon speculoos, which was to die for!) and wandered around, exploring. We went into the Cathedral of St. James - a UNESCO World Heritage Site, with a lot of history, and explored the shops and laneways. The sun was started to set so we decided to make our way back to our car, return our rental car, and head into Trogir for the night. 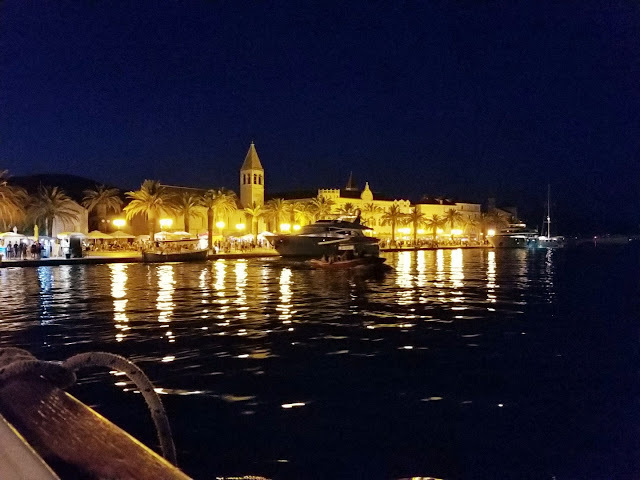 We checked into another Airbnb in Trogir and then headed to the Promenade for dinner. I loved the Promenade! It was full of boats and people and made you feel like you were on the beach! Truffles are used quite a bit in Croatian cuisine and I opted for a delicious truffle risotto for dinner that night. We walked off our food by getting lost in and out of all of the wandering little alleys that make up the city of Trogir. 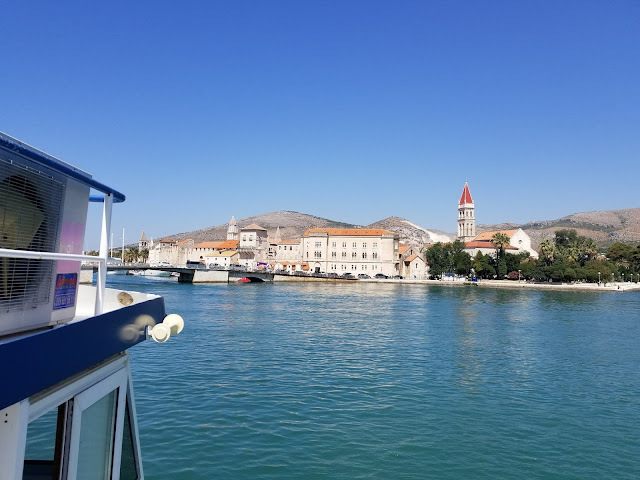 We had opted for Trogir for a few reasons. It's really close to Split but more off the beaten path and therefore a little quieter. 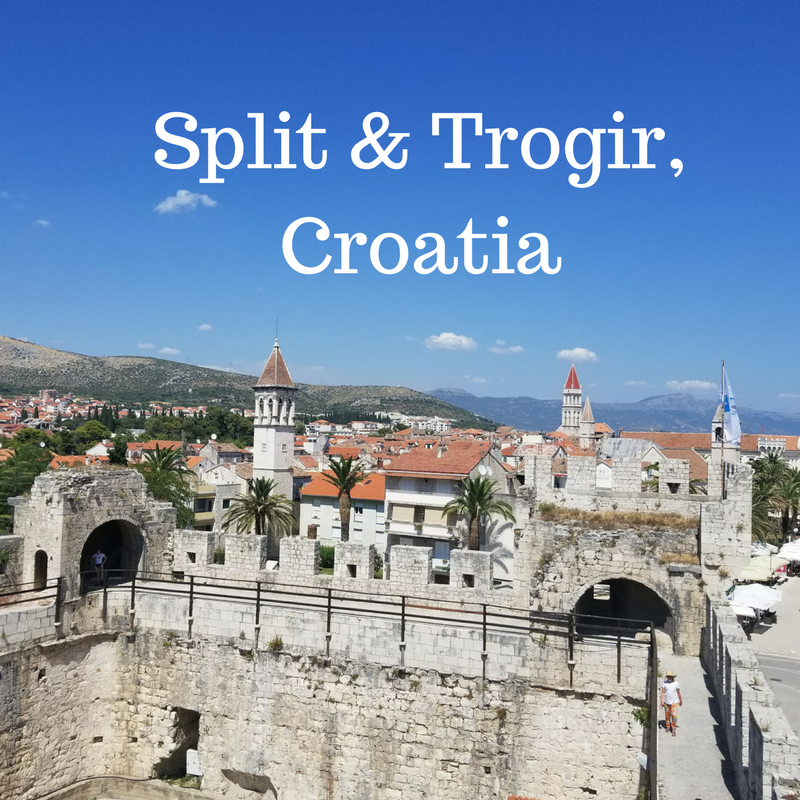 I was worried what that might mean but I loved Trogir right away! It was mostly locals, rather than tourists, which definitely made me feel like we picked a good base for this part of our trip. Stay tuned for how we spent our time in Trogir! When we decided to go to Croatia, I knew I wanted to start our trip in Dubrovnik. 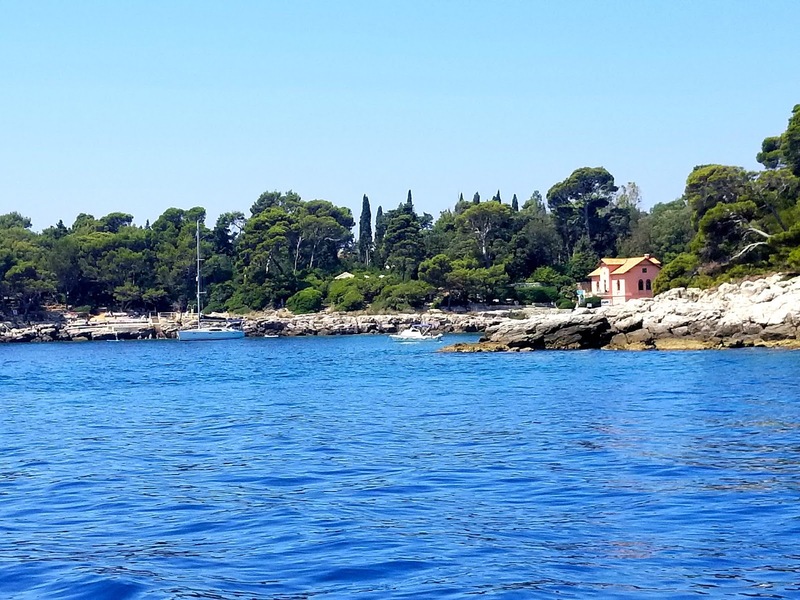 I wanted to be on the water and see Mediterranean Croatia. If you missed my last post on Croatia, you'll see that it wasn't quite what I expected but that doesn't mean I didn't love our time there. 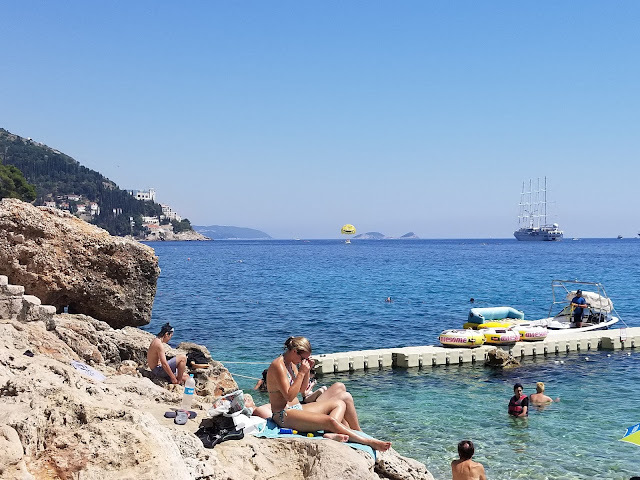 We originally planned for two nights in Dubrovnik but our plans got derailed when we missed our connecting flight from Munich. 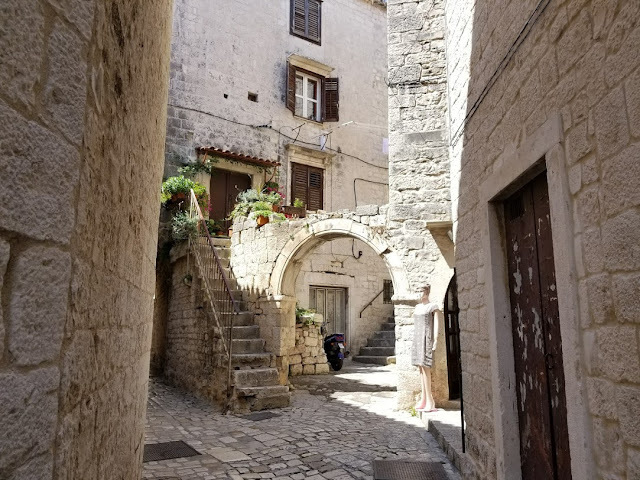 I have another post on this planned for another day but Airbnb doesn't have the most flexible policies so we had no option to change our travel plans, which was really disappointing. Our flight landed at 4 pm and we had booked a 6 pm food tour so we were definitely in a time crunch! We deplaned, got our bags, and took a taxi to where we were staying. We checked in, freshened up, and ran to Old Town to catch our tour! 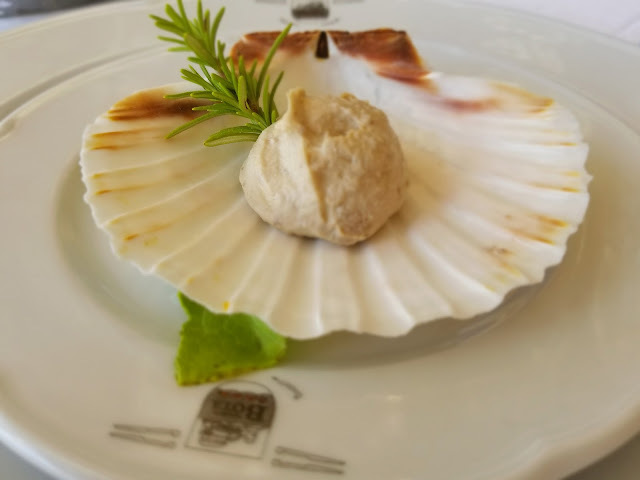 I went on my first food tour in Paris on our honeymoon and since then, food tours are my absolute favorite way to explore a city! We booked the Old Town Food Tour with Dubrovnik Food Tours, which was a great experience! Our guide, Hamo, was born and raised in Dubrovnik but spent some time living in the U.S. We started with wine, cheese, and prosciutto at a fantastic little wine bar right in the Old Town. We sat down for a full Croatian meal at a restaurant, Lucin Kantun, owned by a young couple, and not a single thing on the menu disappointed! 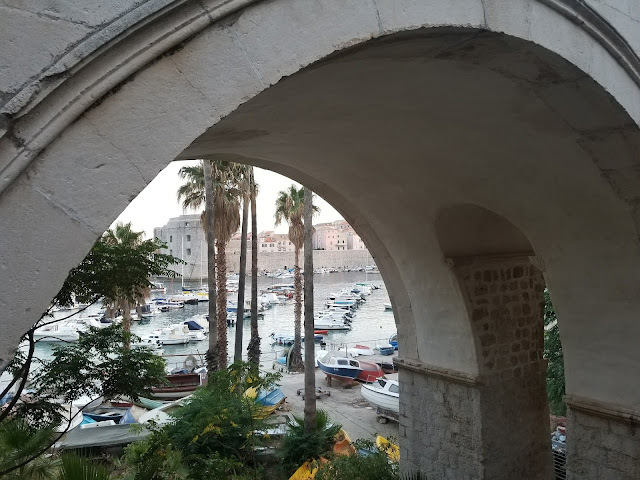 We learned about the history of Dubrovnik, namely, how much it has changed since the war (for better and for worse) and I tried so many different foods that I had never had before, like octopus and cuttlefish to name a few! 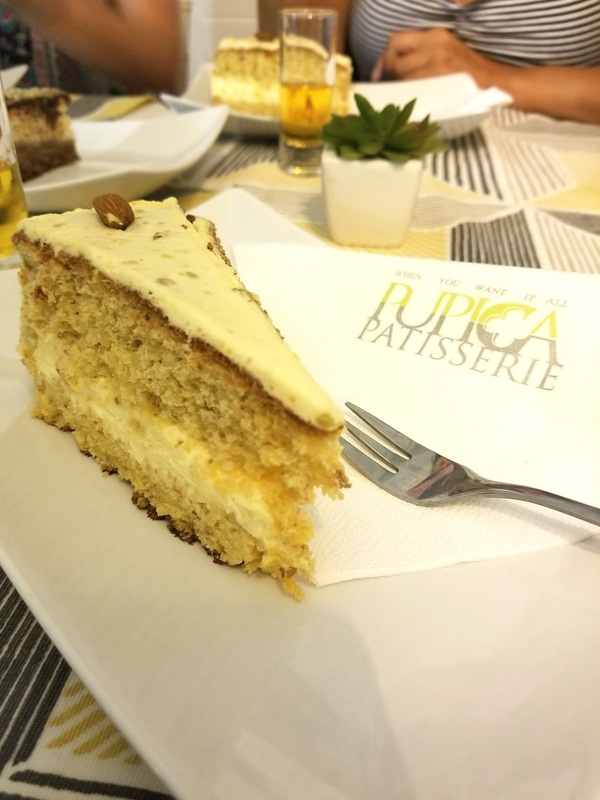 We ended our evening with a stop at another wine bar, Matusko, and dessert at Pupica Patisserie, which is the only bakery left in Dubrovnik that makes authentic Croatian desserts, none of which disappointed! 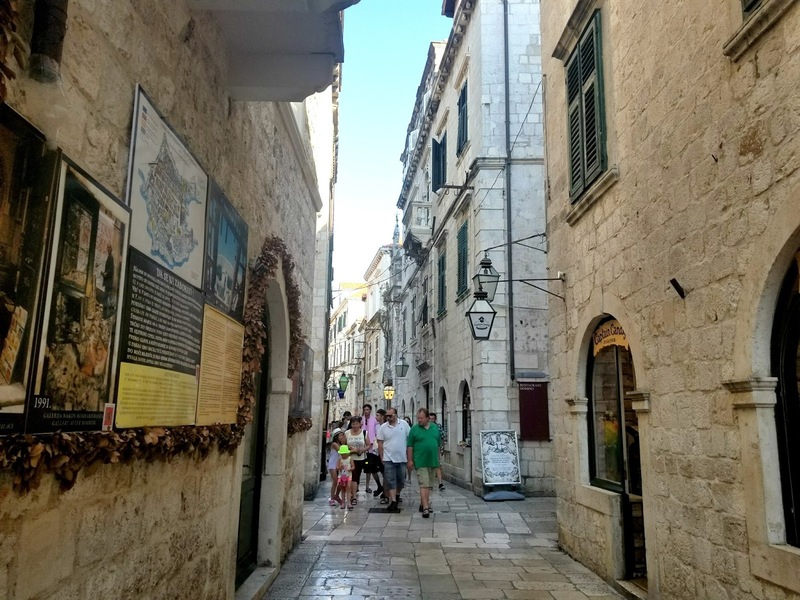 Along the way, we explored all different parts of the city and got some great recommendations for restaurants and shops to check out while we were there. 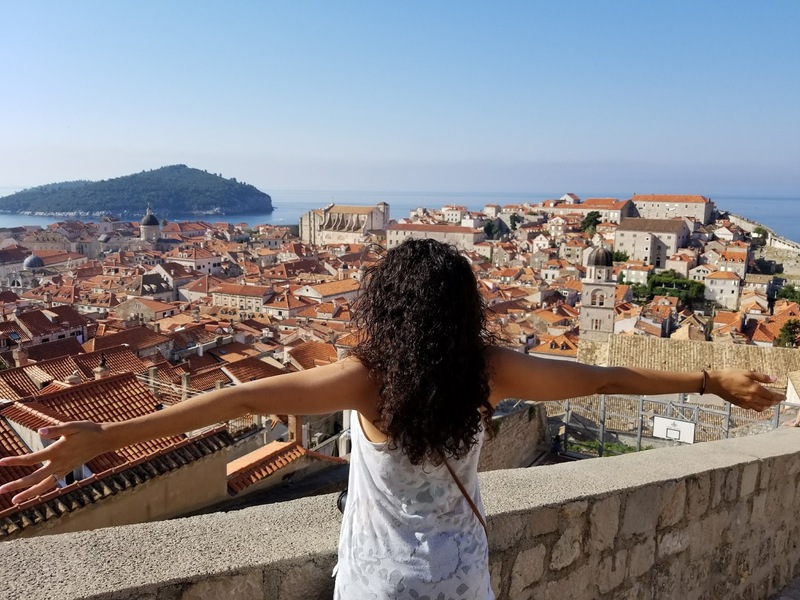 When we woke up the next morning, I was excited to really get to dive into the city. 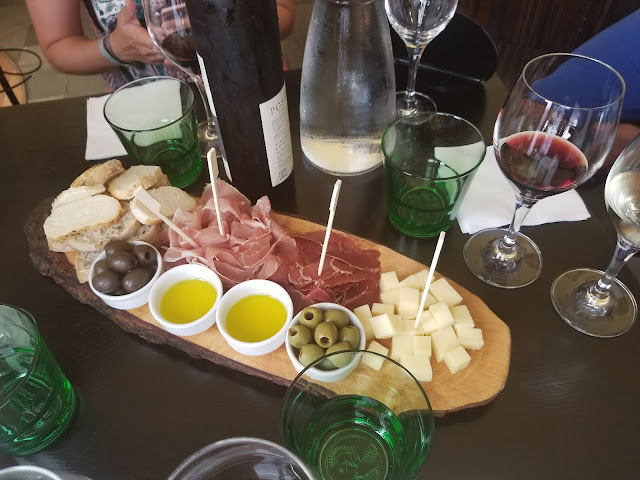 I love starting a trip off with a food tour, usually within the first day or two, but I also like having some time on my own to explore beforehand! This was the view we woke up to from our Airbnb. 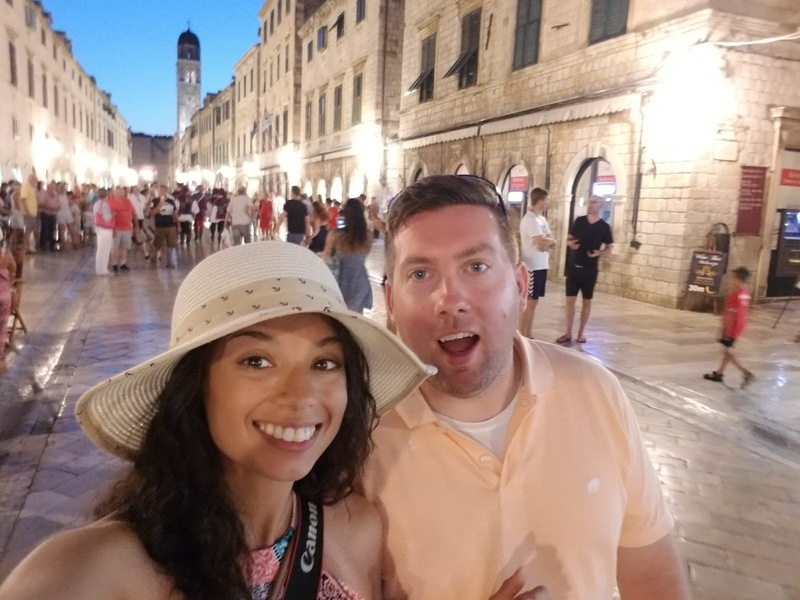 We started our only full day in Dubrovnik back in Old Town to walk the walls! 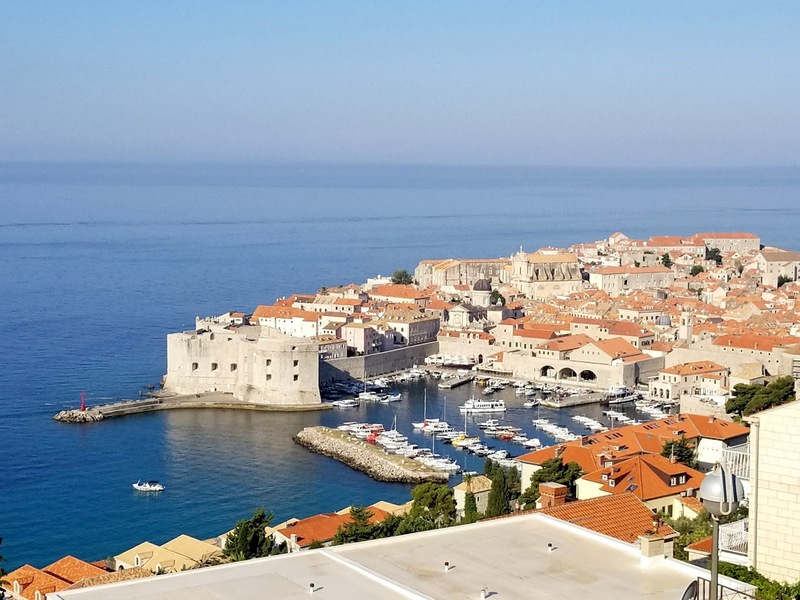 Dubrovnik is an old fort city and walking the walls is an absolute must! I recommend going early, we were one of the first people there and by the time we finished, it really started to get crowded! From the walls, not only do you get incredible views of the sea, but you can see all of Old Town while channeling your inner medieval sentry! When we finished walking the walls, we took a ferry to Lokrum Island, which everyone had told us was worth seeing. The ferry ride was short but was definitely beautiful but once we got to the Island, I didn't really understand why it was so highly recommended. 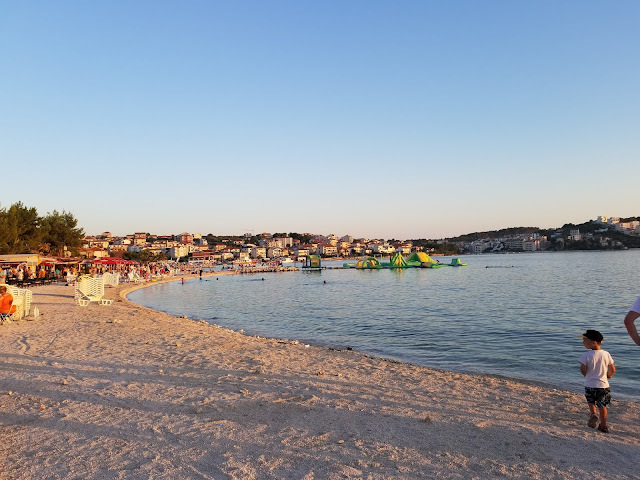 There were a few restaurants, all of which were wildly overpriced, and the places where you could get to the water weren't exactly easy to access, especially the beach. We spent maybe an hour on the island before heading back to Old Town for lunch. 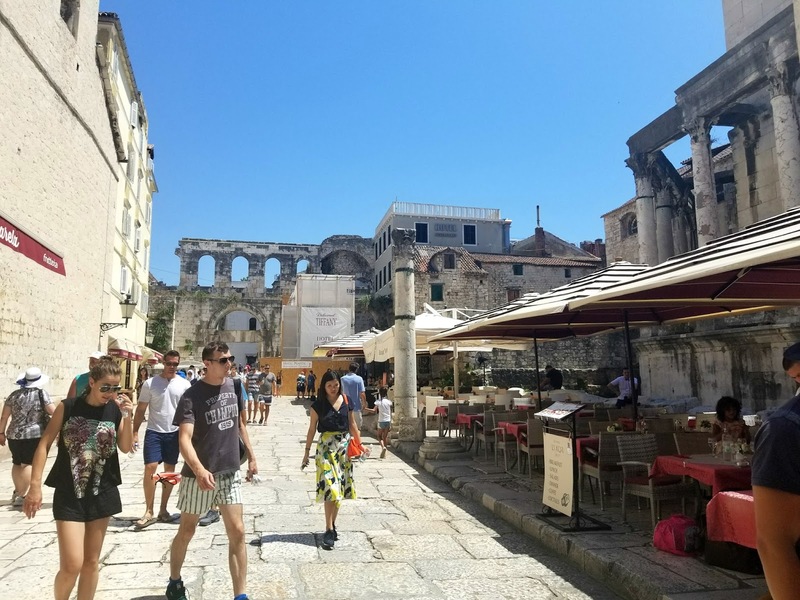 I mentioned this in my last post, but I was really surprised that the food in Croatia was so different than in Bosnia! 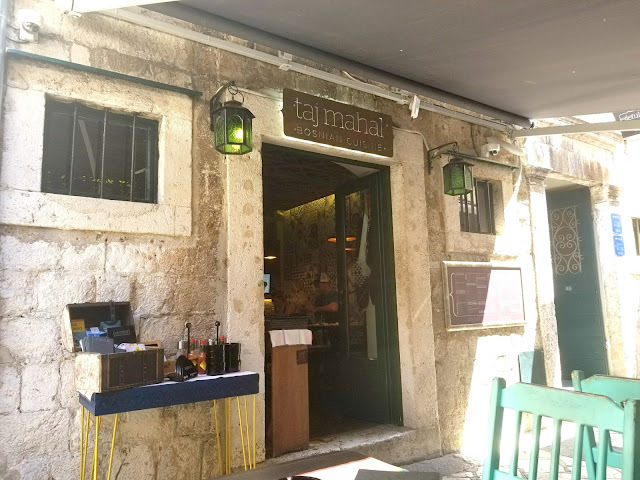 So when we found a Bosnian restaurant (ironically called Taj Mahal), we opted to go there so I could get my fix of one of my favorite cuisines! 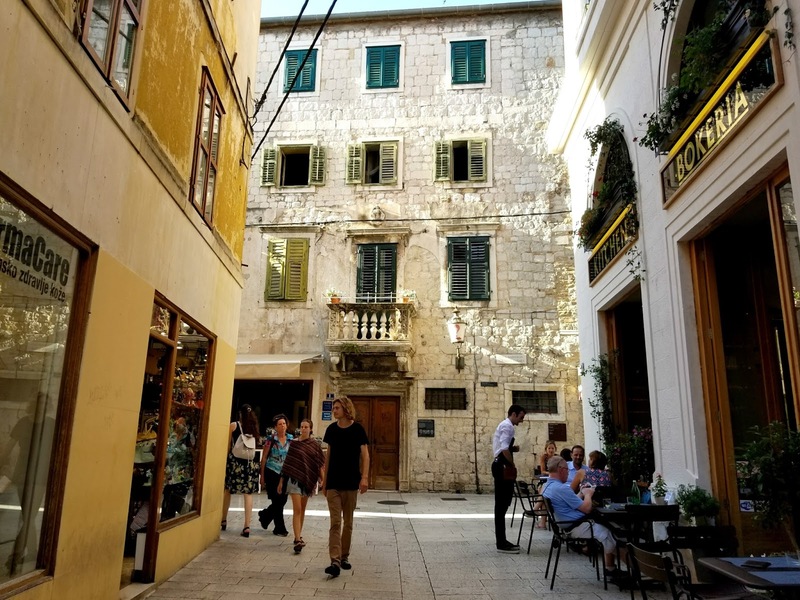 After lunch, we wandered the city for a bit, exploring all of the (literal) ups and downs of the alleyways and side streets before heading to the War Photo Limited. War Photo Unlimited is a photo gallery that chronicles the war in the Balkans in the 90s, which I really wanted to see and highly recommend. 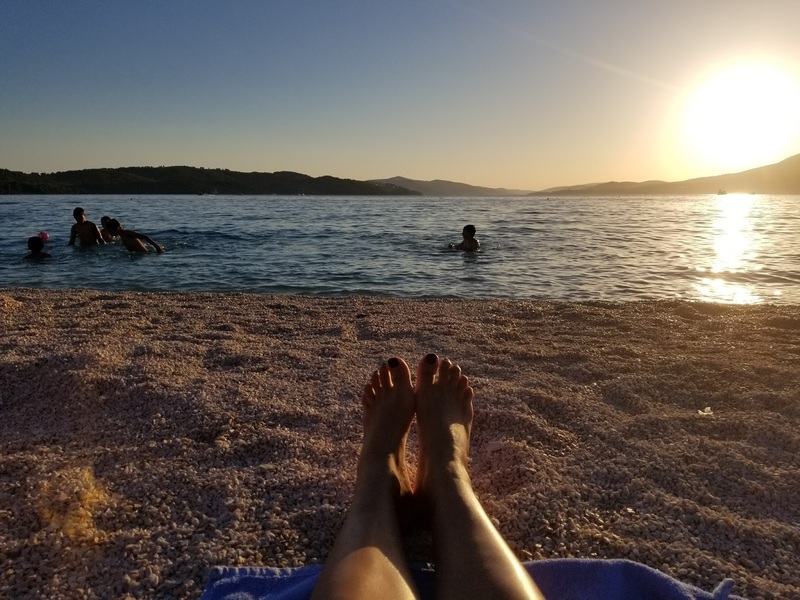 When I was in graduate school, I went to Bosnia and Serbia on a trip to understand the aftermath of the breakup of the former Yugoslavia. 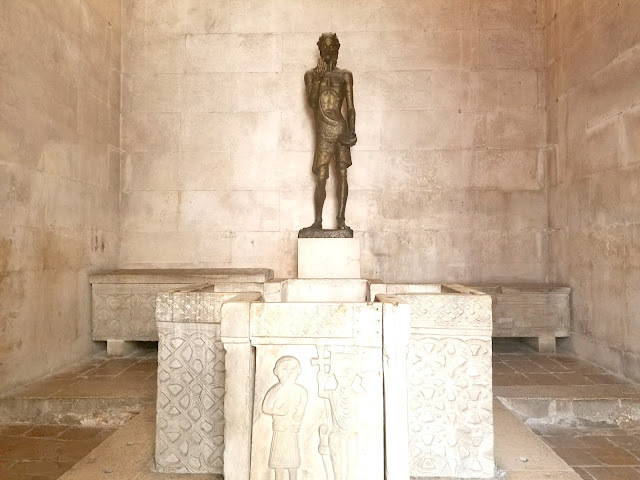 I was disappointed that I missed Croatia on that trip but I thought this museum would give a powerful insight into the Croatian side of the story, which it did. It was heartbreaking but also really informative and very well done. I highly recommend this Exhibit if you're visiting Dubrovnik. I think it's important to learn about a place you're visiting, especially given how recent the conflict in Croatia was and that some of the very buildings we were eating in or visiting, had been burned down during the war. It was super hot when we left the museum, so we made a pitstop at Dolce Vita for a repeat of the gelato we had had the night before on our tour. I'm telling you guys - this gelato is the best I've ever had! We took our gelato and headed to the beach. Banje Beach was just a short stroll from our place but when we got there, it was mobbed and the beach was way too hot and stony to walk on without water shoes! The Pilot and I tried to go into the water which was ice cold. As hot as it was, it didn't even feel good how cold it was! He stayed in for a bit while I sat on a rock for a few minutes and read. When his lips turned blue, we headed back to our place to change for dinner. 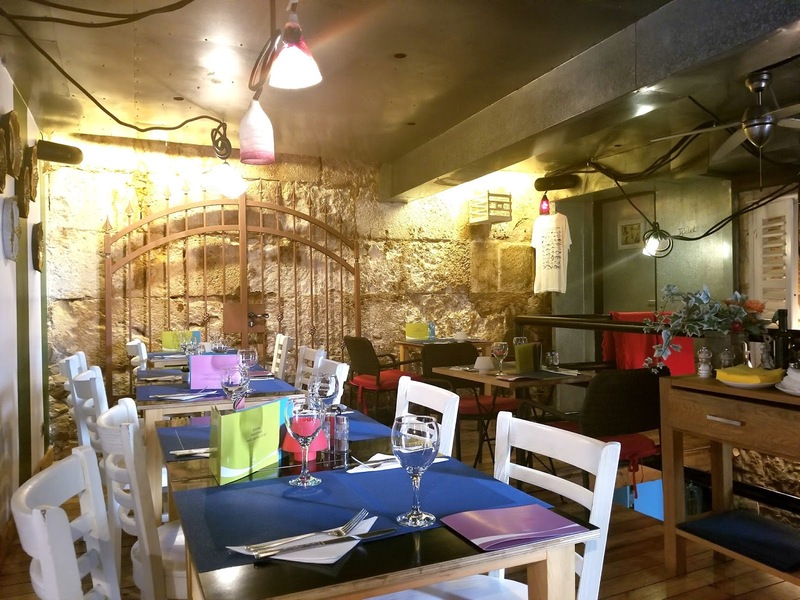 For dinner, we went to a place that was highly recommended by some friends who had just left Croatia called Lady PiPi. 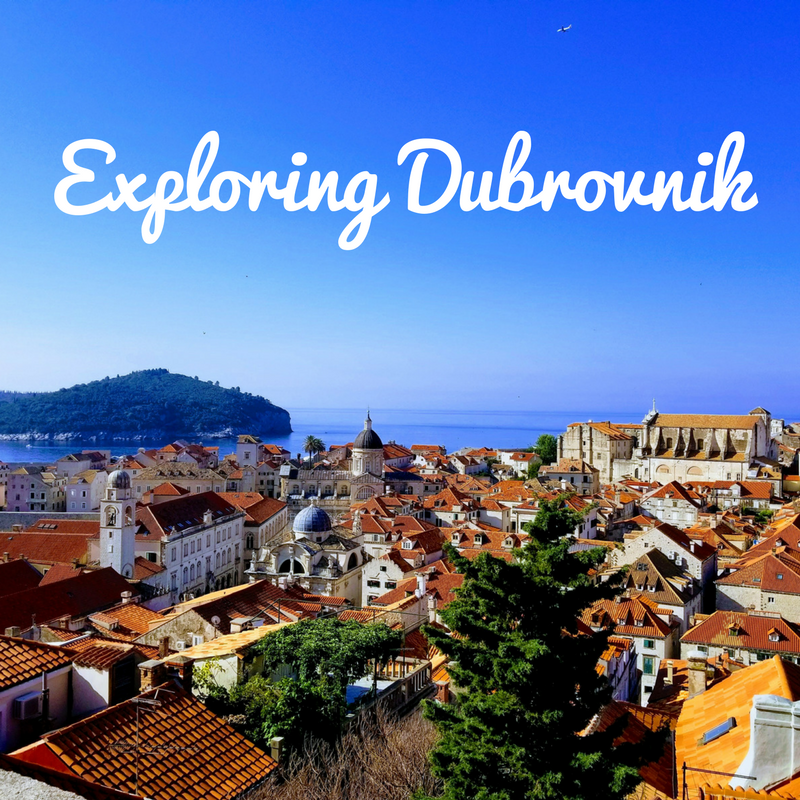 If you make it to Dubrovnik, I'll leave it to you to find out why it's called that! The restaurant is tiny and only has about a dozen tables so we waited outside for quite a bit before being seated but it was well worth it - for both the views and the mussels! When we left dinner, it was getting dark out but we headed to Mala Buza for a nightcap. This bar is amazing! It's literally built into the side of the wall and is a series of cliffs looking out onto the water. We listened to the waves crashing, watched the boats going by, and enjoyed a round of drinks before calling it a night! 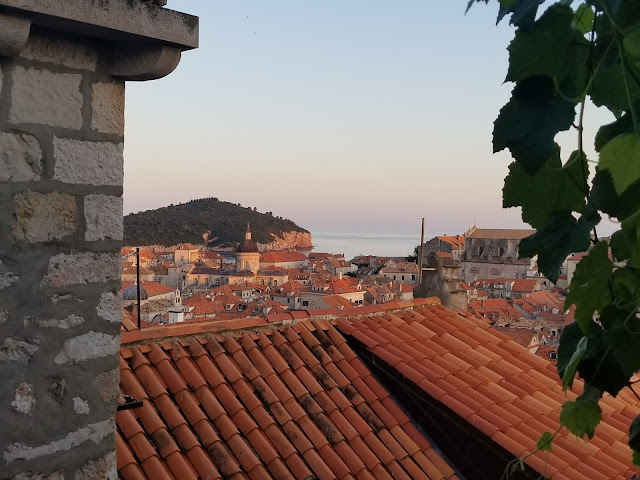 Sadly, it was our last night in Dubrovnik. I'm disappointed that we were there for such a short time and didn't get the chance to leave the Old Town. While I wish we had been given the extra day we planned for, I still think we made the most of our time there!